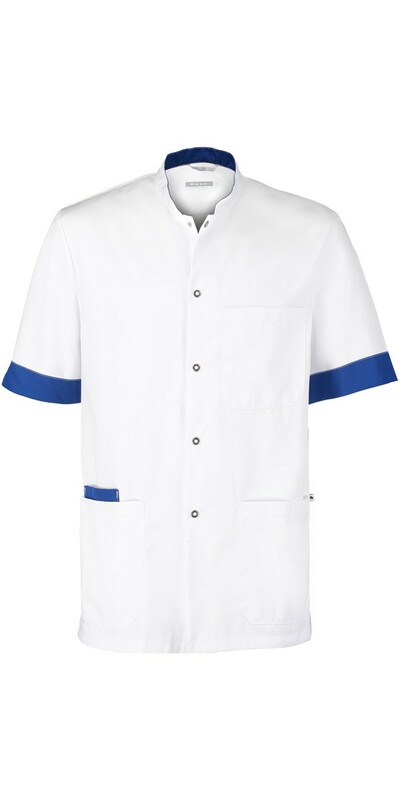 Nursing Uniform with short sleeves for men. 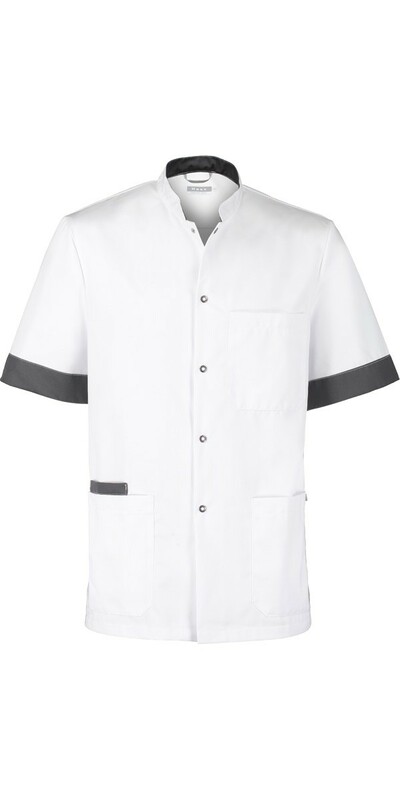 The uniform comes with snap button studs and a stand-up collar. 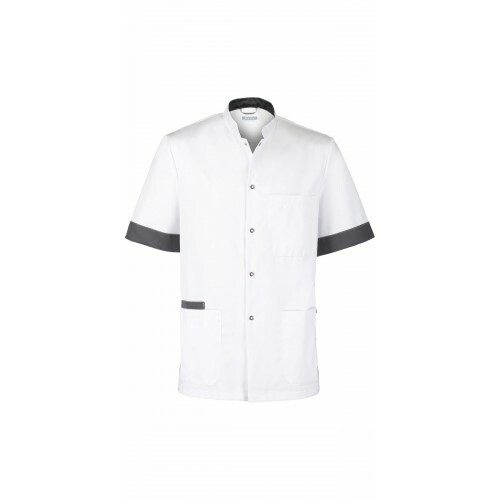 There is one chest pocket and two patch pockets on the front so that you have all your equipment close at hand. 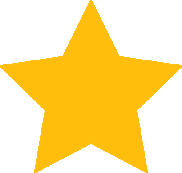 Haen represents many years of experience in functional and high quality work wear. Comfortable to wear and easy to clean.